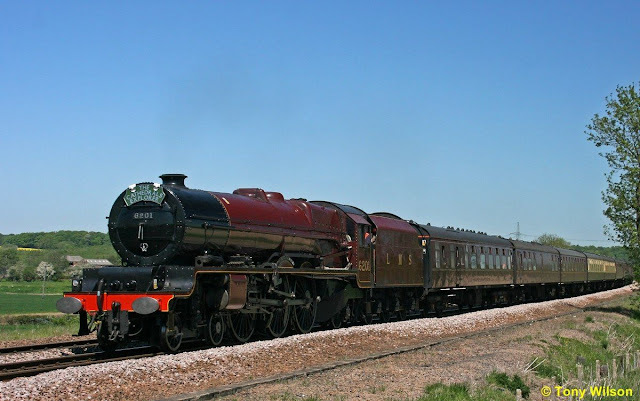 Today Friday 25/05/2012, Princess Elizabeth 6201, hauled the Cathedrals Explorer, The train journey commenced at Hellifield with destinations of London Victoria & Stains. 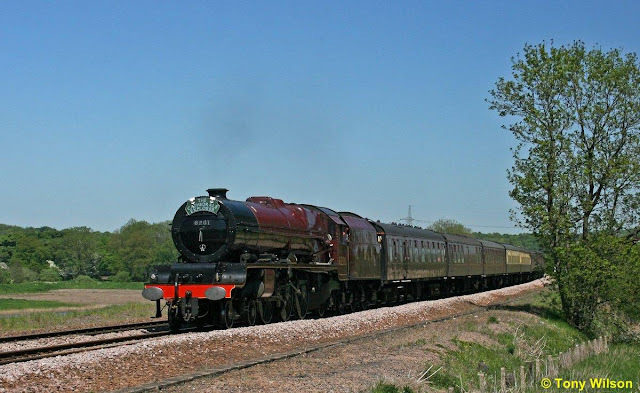 Tony & myself photographed it passing through the Derbyshire countryside north of Barrowhill. It must of been using smokeless fuel as it passed through the valley on a wonderful sunny day.